Sharing a passion for delivering completing flawless and reliable roof repairs and restoration projects the expert team working at New Ridge Roof Restoration have helped Melbournians gain trust in their roofs since 1999. Possessing a strong focus on quality, we use only the best materials and products to make your roof last for longer. Committed to delivering a complete roofing experience to all of our customers we have the training and knowledge to flawlessly deliver a number of roofing services including the replacement of cracked or broken tiles, repairing valley irons, cleaning & painting, gutter repairs, and the installation of rooftop ventilation systems amongst others. Whether you live in the Mornington Peninsula, the Latrobe Valley, or anywhere else across Melbourne’s South Eastern region you can directly benefit from our premium and competitively-priced roof restoration and improvement services. to make an appointment for our team to make your roof last for longer in all weather conditions call us today on 0439 931 138. 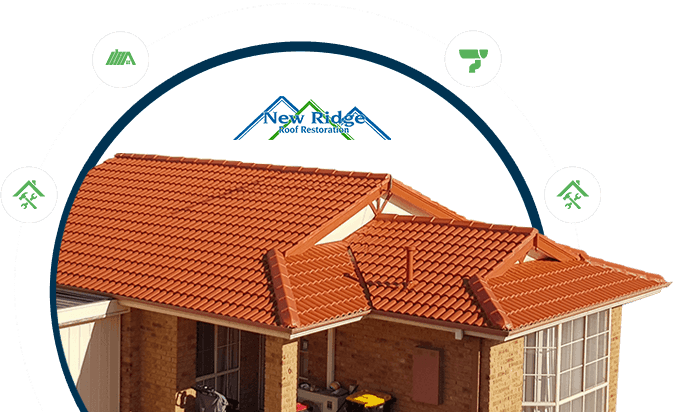 Give your roof the care and attention it deserves thanks to the innovative and thorough solutions on offer thanks to the team at New RidgeRoof Restoration. Covering everything from minor to major repairs such as removing and replacing damaged tiles, repainting, cleaning, gutter and downpipe repairs and replacements, and even cleaning rooftop solar panels to increase their effectiveness.